Providing network products that serves your ever growing data surge of data commitiments. At ServerWare®, By fostering collaboration with SuperMiicro® , we seeks to increase ecosystem alignment, leading to the design of world-class solutions. 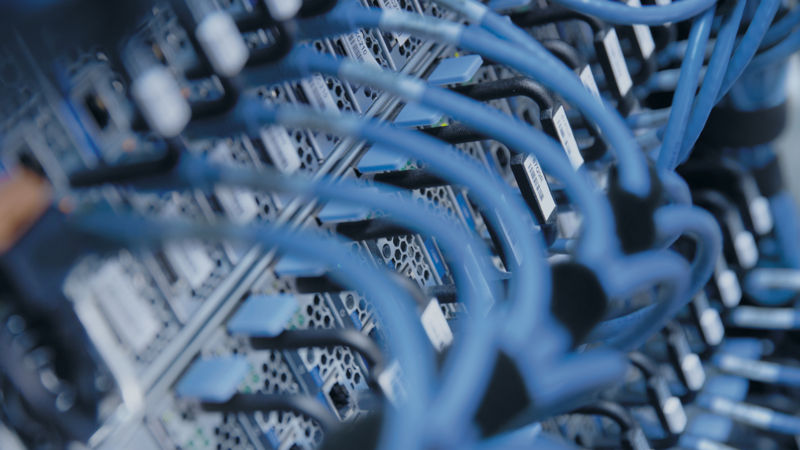 With comprehensive network functions virtualization (NFV) and software defined networking (SDN) greatly in demand,we provide reference architectures, white papers, and solutions briefs to help build and enhance your network infrastructure. To seek the latest trends on network transformation all in one place. 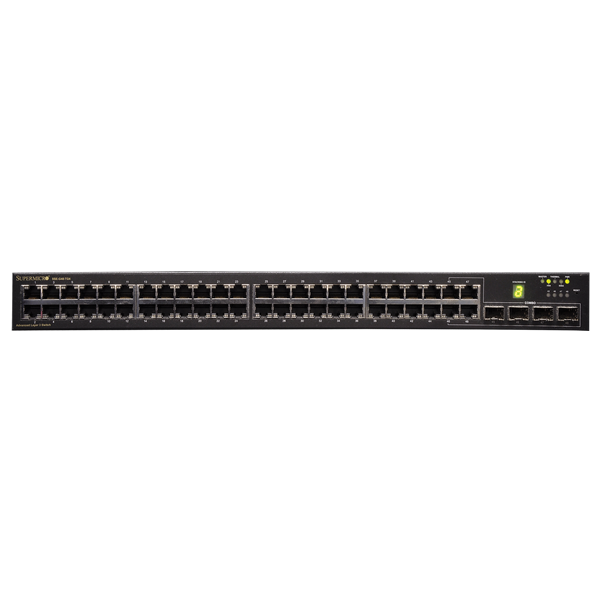 Supermicro SSH-C48Q 1U 48-port top-of-rack networking switch support the 100Gbps Intel® Omni-Path Architecture (OPA) providing a unique HPC cluster solution offering excellent bandwidth, latency and message rate that is highly scalable and easily serviceable. SSH-C48Q is designed to support high message rate traffic from each node through the fabric. With ever-increasing processing power and core counts in Intel® Xeon® and Intel® Xeon Phi™ processors, that means the fabric has to support high bandwidth as well as high message rate throughput. SSH-C48Q 48-port design provides for improved fabric scalability, reduced latency, increased density, and reduced cost and power. SSH-C48Q offers 9.6 Tb/s total fabric bandwidth. High scalability with the capability of 27,648 nodes in 2-tier configuration. Features in Intel OPA will help minimize the negative performance impacts of large Maximum Transfer Units (MTUs) on small messages and help maintain consistent latency for interprocess communication (IPC) messages, such as Message Passing Interface (MPI) messages, when large messages-typically storage-are being simultaneously transmitted in the fabric. This will allow Intel OPA to bypass lower priority large packets to allow higher priority small packets, creating a low and more predictable latency through the fabric. Supermicro SSH-C48Q supporting Intel Omni-Path Architecture will also deliver efficient detection and error correction, which is expected to be much more efficient then forward error correction (FEC) defined in the InfiniBand standard. Enhancements include zero load for detection, and if a correction is required, packets only need to be retransmitted from the last link-not all the way from the sending node-which enables near zero additional latency for a correction. Current standards-based high performance fabrics, such as InfiniBand*, were not originally designed for HPC, resulting in performance and scaling weaknesses that are currently impeding the path to Exascale computing. 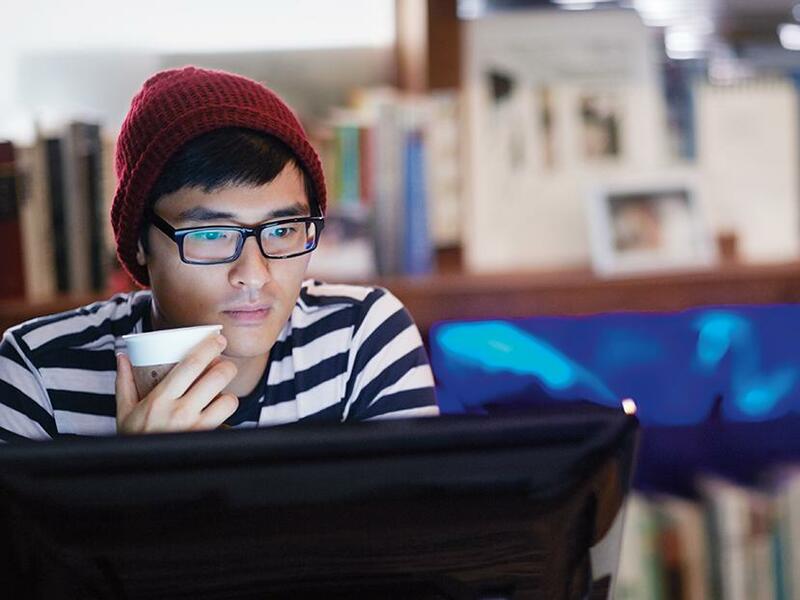 Intel® Omni-Path Architecture is being designed specifically to address these issues and scale cost-effectively from entry level HPC clusters to larger clusters with 10,000 nodes or more. To improve on the InfiniBand specification and design, Intel is using the industry’s best technologies including those acquired from QLogic and Cray alongside Intel® technologies. 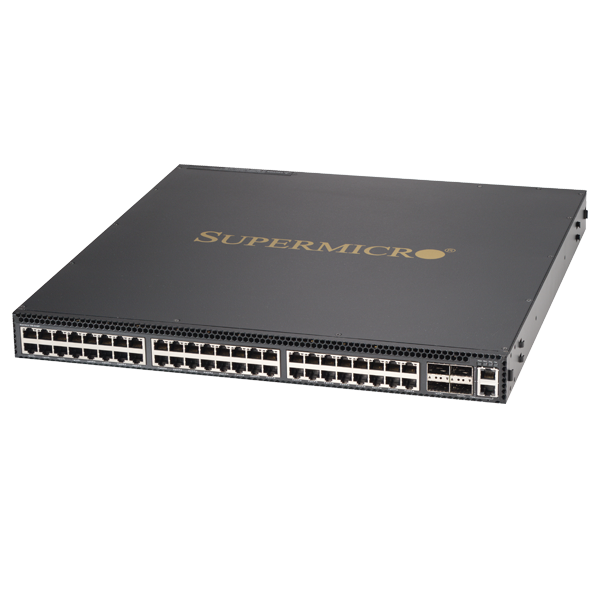 The SuperMicro® SSH-C48Q Networking Switch. 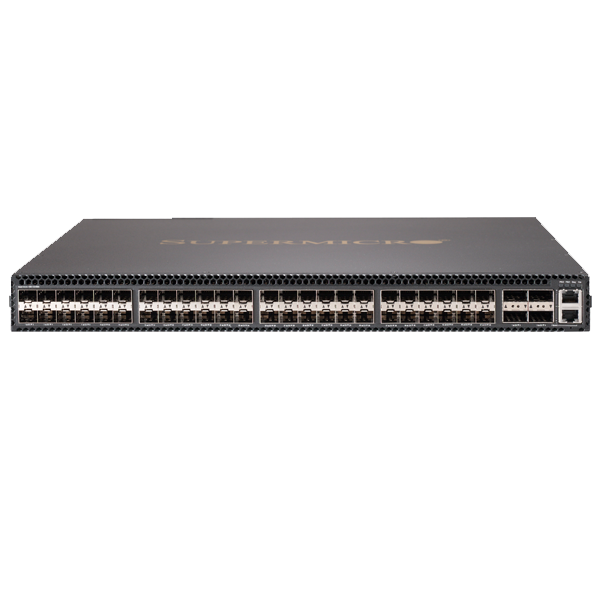 The SSE-G2252 and SSE-G2252P offers a full range of popular Ethernet features like Jumbo Frames, Link Aggregation, VLANs, and Quality of Service. All of this is done in a compact 1U form factor for maximum flexibility in rack-mount installation. 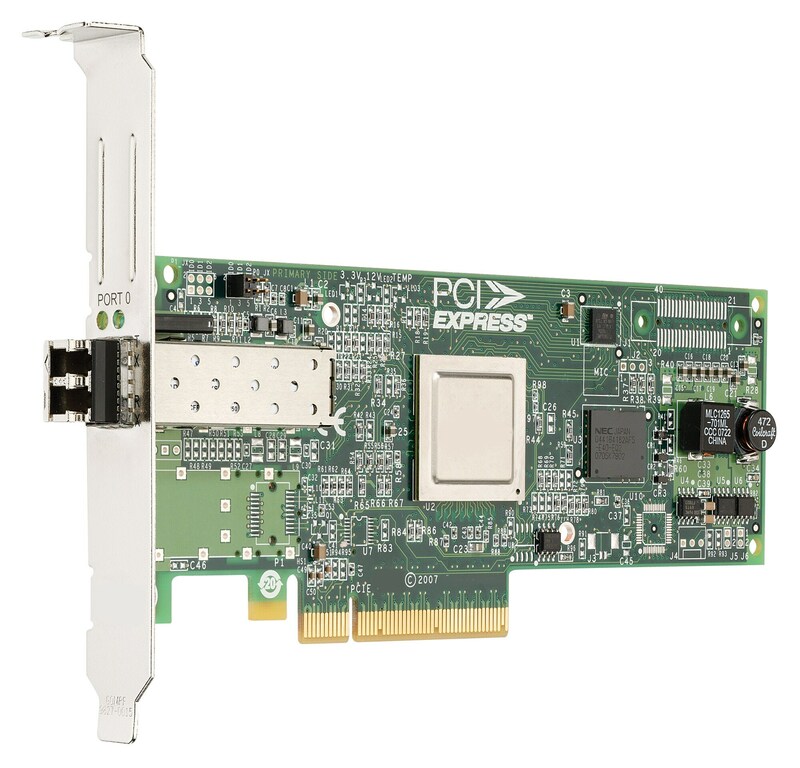 Enterprise-Class Performance with Advanced switching capabilities in a 1U form factor. 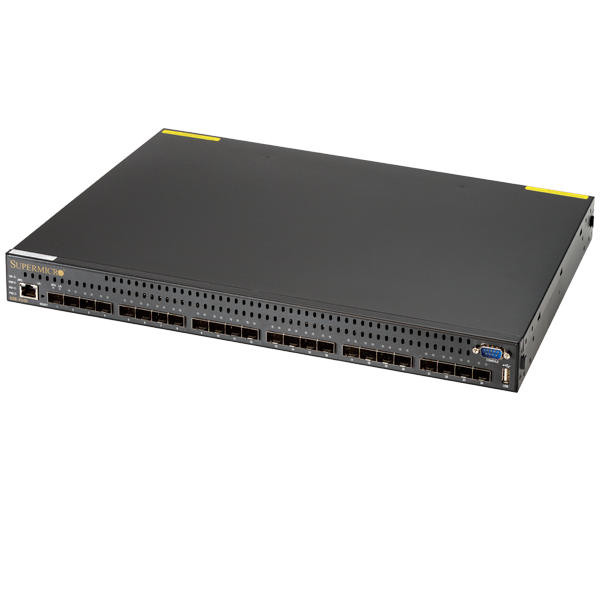 Highly cost-effective 1/10-Gigabit, 10-Gigabit Ethernet and 10/40-Gigabit Ethernet Networking – Standalone or Top-of-Rack. 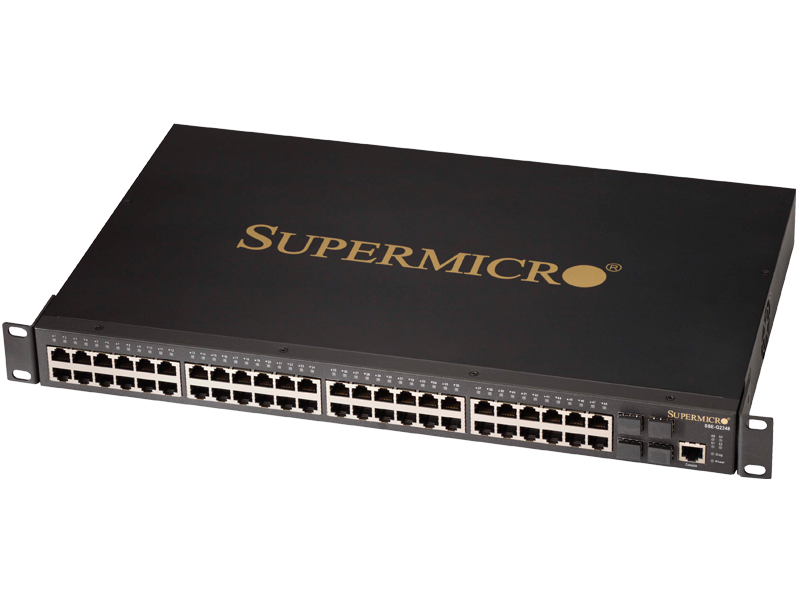 The Supermicro 1/10-Gigabit Layer 3 Ethernet Switches offer aggregation of 24 or 48 ports of 10/100/1000 BASE-T Gigabit Ethernet onto up to four 10-Gigabit Ethernet uplinks. This allows connectivity to 10GE routers, servers, backbones, and data centers. In addition, the 10-Gigabit models provide top-of-rack data-center friendly interconnection for high-speed server and storage systems as well as access to corporate or data center backbone networks. 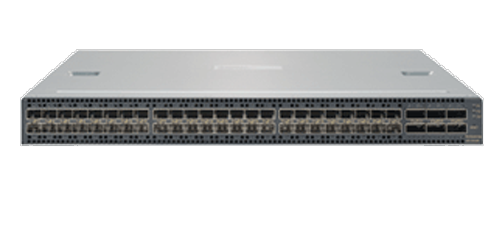 The 10-Gigabit switches provide high-speed connectivity between high-capacity servers and backbone networks. And the latest series of 10/40 Gigabit Ethernet switches take data center networking to a new level of performance. It is ideal for organizations with growing and consolidated data centers. 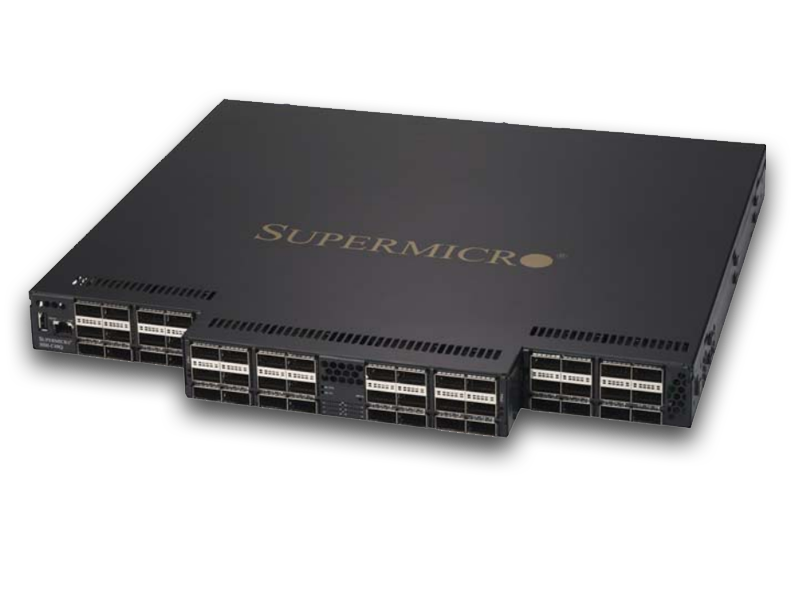 Supermicro Blade server customers will further appreciate the common set of features and a management interface that matches those of the Supermicro 1/10G Layer 3 Ethernet Switch for the Blade. 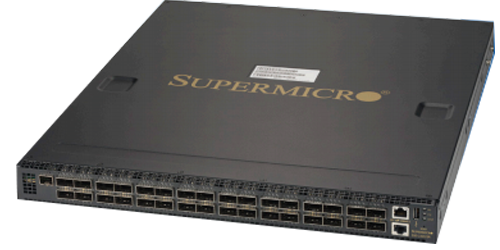 Supermicro® embraces the Open Networking arena with its line of “bare metal” Ethernet switches. Open Networking provides customers with the ability to maximize the efficient and flexible use of valuable data center resources while providing an ideal platform for managing and maintaining those resources in a manner in tune with the needs of the organization. Customers can select the “best of breed” hardware to match with their Operating System of choice. For higher performance the SSE-X3648S extends the product line – providing forty-eight 10-Gigabit Ethernet ports, thus allowing connectivity to 10GEservers, routers, and backbones. It also offers six ports operating at 40Gbps for access to high-speed backbone networks or storage servers. 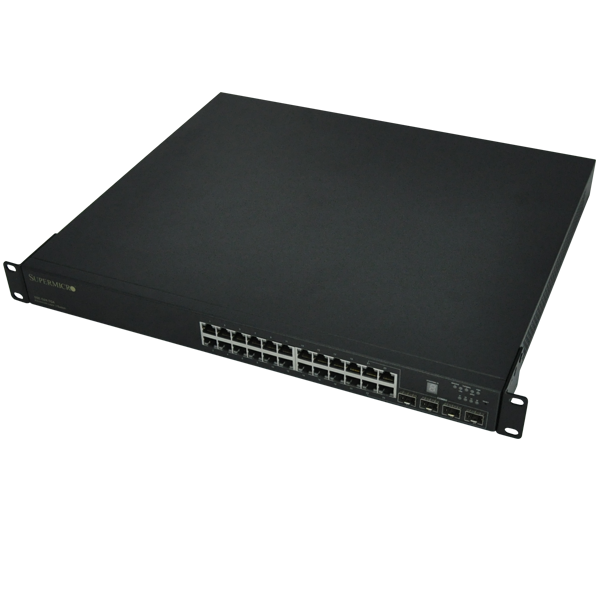 Also featuring a 1U form factor, an included rail kit, and a reverse-airflow model (the SSE-X3648SR), this switch is ideal for use in large data centers with alternating hot and cold equipment aisles. These switches are ideal for deployment in Data Center, Cloud and Enterprise environments with the capability of handling access for the most demanding applications. Pre-loaded with the Open Network Install Environment (ONIE), all three of these “bare metal” switches are ready for your networking operating system of choice. 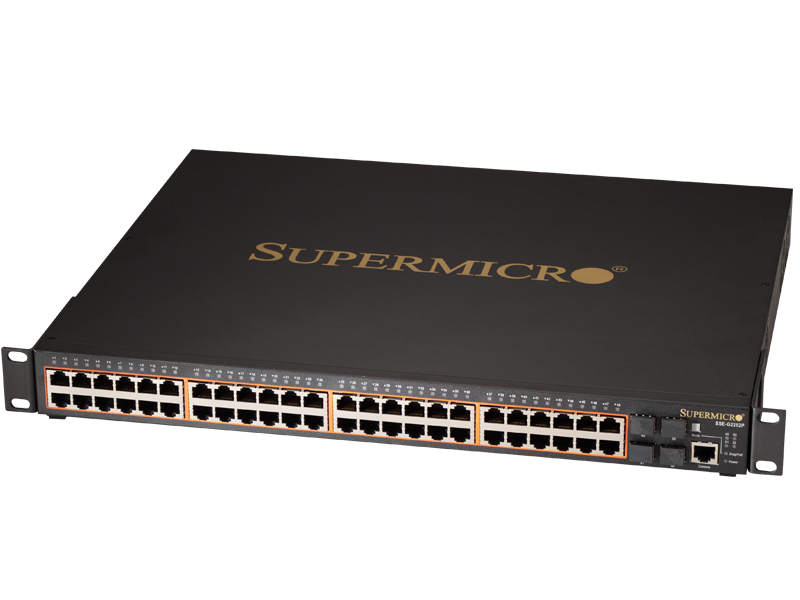 Supermicro recommends the use of Cumulus Linux – these switches are all listed on the Hardware Compatibility List of Cumulus Networks. Cumulus Linux is an OS for open networking incorporating a true Linux distribution with extensive networking features plus hardware acceleration of routing and switching functions. By using many of the same tools employed for servers, Cumulus Linux enables affordable scalability with clear CapEx savings and even greater OpEx savings; it unleashes rapid innovation via custom, open source or commercial Linux tools and applications. 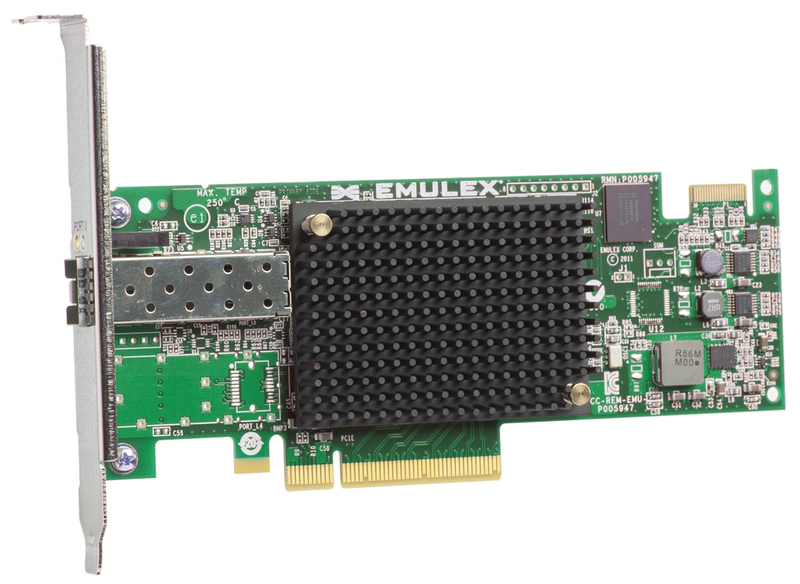 The embedded X86 Linux-based controller is particularly well suited for running the provisioning tools which are typically used for servers. Contact Cumulus Networks (www.cumulusnetworks.com) for more details and ordering information.